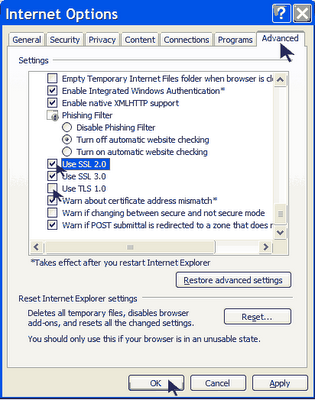 First go to Advance tab in Internet Explorer properties and turn off the TLS (Transport Layer Security) encryption option. Here to fix problem with some secure pages turn on the SSL 2.0 (Secure Sockets Layer) feature and click Ok button to close it. Trojan.w32.looksky is another name for the Smitfraud/zlob trojan. SmitFraudFix removes trojan.w32.looksky, but you should also check your system for other malware, and use ATF cleaner to clean your temp files when finished. * Select 2 and hit Enter to delete infect files. * You will be prompted: Do you want to clean the registry ? answer Y (yes) and hit Enter in order to remove the Desktop background and clean registry keys associated with the infection. 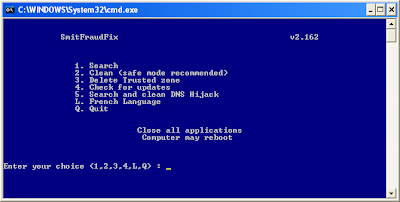 * The tool will now check if wininet.dll is infected. You may be prompted to replace the infected file (if found): Replace infected file ? 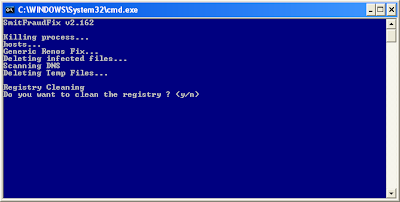 answer Y (yes) and hit Enter to restore a clean file. o To restore Trusted and Restricted site zone, select 3 and hit Enter. o You will be prompted: Restore Trusted Zone ? answer Y (yes) and hit Enter to delete trusted zone. New Airtel Live! free trick (All India) Just go to http://www.google.co.in/gwt/n through Airtel Live!. Then type the address there. You can open any site from there for free ! Note- Surfing through Airtel Live! must be free in your state. How to access the internet via your standard Microsoft Calculator? When your browser(s) is/are messed up for some unexplainable reason* 1. Open your MS Calculator. This is normally found in Start => All Programs => Accessories => Calculator. 2. Open the help-window by pressing the F1 key. 3. Click the top-left corner icon of the help window once (Standard is a Document with a yellow Questionmark). 4. Select Jump to URL... 5. Type your address into the avaliable field, but remember to type http://, and not just www. (or equivalent). 6. Have fun! The value DefaultColor controls the foreground and background colors used in command prompt windows. It has a default value of 0, for standard white text on a black background. CHANGING DOS BACKGROUND Open your registry (press win+r and type regedit, hit enter) goto [HKEY_CURRENT_USER\Software\Microsoft\Command Processor] u'll find "DefaultColor" You can replace it's value with a two-digit hexadecimal number, in which the first digit selects a background color and the second a foreground color. The hexadecimal codes are: Hexadecimal value Color 0 Black 1 Blue 2 Green 3 Aqua 4 Red 5 Purple 6 Yellow 7 White 8 Gray 9 Light Blue A Light Green B Light Aqua C Light Red D Light Purple E Light Yellow F Bright White A value of F0, for example, would give black text on a white background, and 1E would yield yellow text on a blue background. The change should take effect the next time you open a console window.